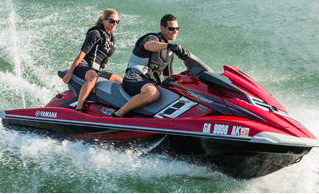 Utah Boat Rental and Jet Ski Rentals offers almost every motorized recreational equipment rental available, and covers the entire state of Utah's boating lakes and reservoirs. We rent all the toys you would like own including; inboard v-drive wakeboard boat rentals, jet skis, ATV’s, waverunners, snowmobiles, water sports equipment, boat tours and charters, and water toy accessories. 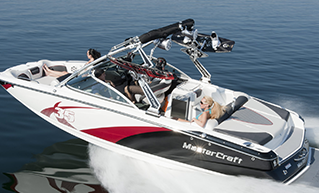 With the quality of watercraft rentals Utah Boat Rentals offers, and by updating our rental toys constantly there’s no reason to purchase something you’ll only use a few days a year. Enjoy large selection of ten to eighteen passenger water sport boats for any type of fun boating vacation in Utah. Offering high quality Yamaha waverunner models to choose from. 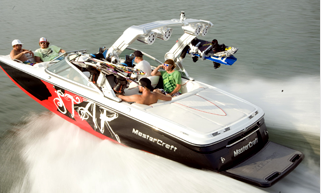 Pull water toys behind these powerful jet skis. Fun group water sport activities and leisure boating tours and charters which are private to your party and meet your requests.